In Queensland, rooftop solar is an undeniably good investment. With average payback times between 3-5 years and warranties on workmanship and equipment over 10 years, it really is the gift that keeps on giving. Once your system has paid itself back through savings or from the recently increased feed in tariff, it can easily continue to do so again and again for 20 years or more. It really is a no-brainer. In cold, wintry and overcast climates, like those often found in the northern hemisphere, solar power still has a valuable role to play. 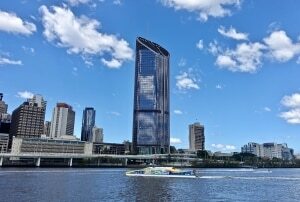 Having said that, it’s much easier to understand the appeal of solar in the sun-drenched climate that Queenslanders enjoy. Another quality 13kw solar rooftop installation by the Universal Electrical Services Queensland team. We take time and care to ensure a quality solar installation for each and every customer. Queensland is the perfect climate for a solar system. It is important to choose the right solar installer. There are many companies to choose from, some good, some not so good. Some, like the team at Universal Electrical Services Qld, take great pride in doing a quality, long-lasting job. Others may do a quick, slapdash job of the installation and use cheap, poorly made equipment. Sometimes it can be hard to tell the difference. 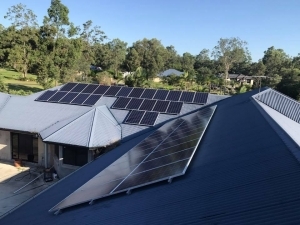 Rest assured, if your new solar system is installed by Universal Electrical Services Qld, your licensed and experienced solar expert will have your job booked exclusively for the whole day to ensure ample time to provide only the highest quality installation. This is backed by our 10 year workmanship guarantee. We take time and care to ensure a quality solar installation for each and every customer. We are always happy to chat about solar, or any other electrical issues you have. Contact us for a free quote.